A batch of unusual ingredients, not typically found together, often yields unexpected results. 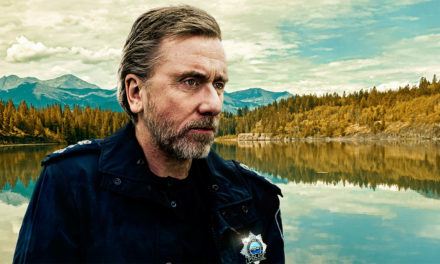 Such is the case with the Midnight Sun TV series, a Swedish-French collaboration centered around a series of unusual murders and a clash of cultures above the arctic circle. It’s slow moving with scenes of intrigue, colorful characters, and the indigenous people of this arctic region. 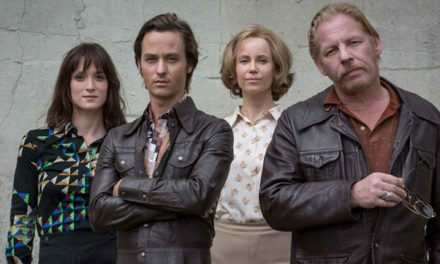 Midnight Sun (Midnattssol) is far afield of typical crime drama – meaning it won’t be everyone’s cup of tea – but we were fascinated from beginning to end. 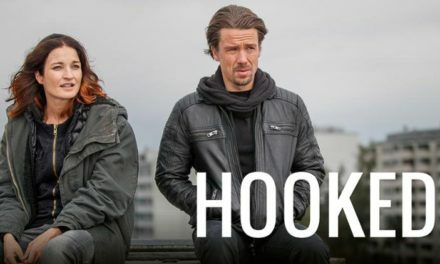 French detective Kahina Zadi (Leila Bekhti) travels to Sweden after a French citizen is murdered in one of the strangest murder scenes ever to open a TV series. Swedish prosecuter Rutger Burlin and his assistant, Anders Harnesk (Gustaf Hammarsten), who seems barely capable, meet her there. Harnesk ends up taking a much larger role in the investigation and comes into his own as the murder count grows and the team uncovers more unusually staged killing scenes. 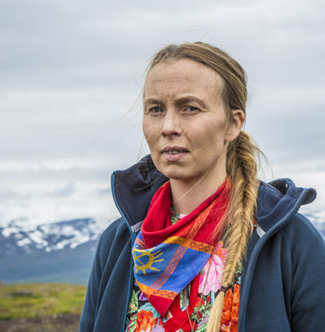 Connections to the indigenous Sami community emerge, but it’s not clear whether the culprit is Sami or trying to cast blame in that direction. Reclusive, shaman-like Sami known as noaidi reluctantly consult with the investigators. Harnesk, half-Sami himself, is the point of contact or go-between. The clues he receives are cryptic, symbolic. That’s appropriate to the mood of Midnight Sun. It’s a foreign world for viewers and for Zadi. Unable to sleep with no darkness, she’s often adrift, remembering scenes from her youth and trying to make sense of what little she knows about the current crimes. Scenes from waking dreams occur. More than one character has them, and we see them too, unsure at times what is real. By US standards, there is little actual violence shown in the series. We see the results though, and a few scenes are not for the squeamish. As TV murders go, these are particularly creative. Some clarity comes as the case unfolds. The killer’s process is understood, even if the motive remains hidden. 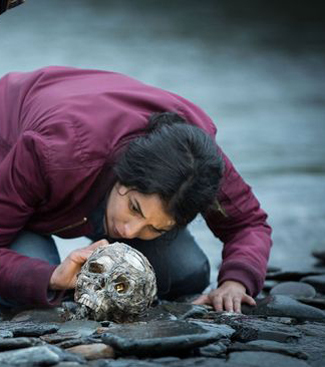 Toward the end, Midnight Sun feels more like a standard thriller, but still doesn’t play by the usual rules. We found it a breath of fresh air. Midnight Sun happens in and around Kiruna, Sweden. It’s an actual town 90 miles north of the arctic circle with a huge iron mine, a space research center, and a strange, recent history that involved relocating large portions of the town. These are all part of the Midnight Sun TV series. It should be noted, the Sami people have lived in northern Scandinavia for over 5,000 years. For those of us not familiar with their history, Midnight Sun shines a bit of light on Sami culture and the marginalization of their people, an all too common plight. Måns Mårlind and Björn Stein (known for The Bridge) are the Midnight Sun TV series writers and directors. The series is coproduced by Canal+ in France and SVT in Sweden, where it first aired in fall, 2016. All eight episodes, each about an hour, are available on Hulu.